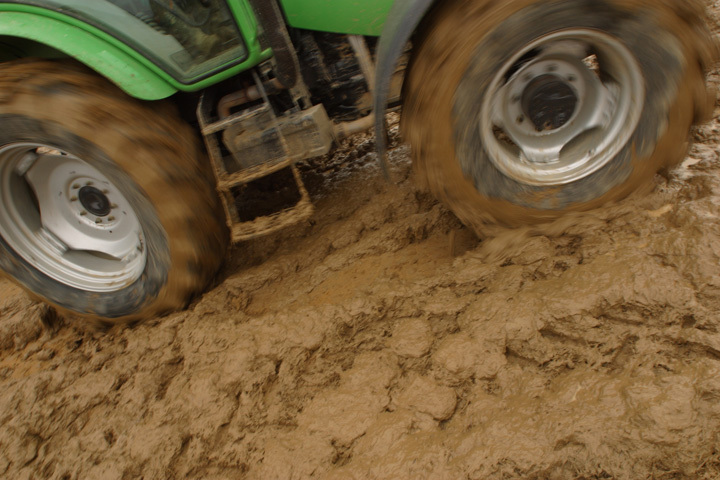 We'll take an exciting journey on a four wheeling ATV while exploring Cancun’s tropical jungle and beautiful Mexican Caribbean beaches! Setting sail on an intimate cruise on the graceful Columbus will be an unforgettable wedding gift! Before the sun sinks below the magnificent horizon, we will look for that legendary green flash. We'll dance and dine on steak and lobster and enjoy a cocktail or two under a blanket of stars! We look forward to scuba diving in Riviera Cancun, our world- renowned honeymoon diving location! 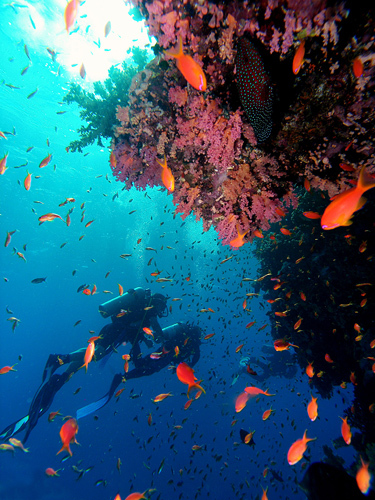 The consistent weather and calm ocean conditions allow us some of the best diving possible. The Caribbean water is crystal clear and warm, and the marine life is abundant. The magnificent corals and sea crustaceans of a thousand colors will amaze us. This will be a day we will always remember! This is a paradise that we have only seen in our dreams! We look forward to this once in a lifetime honeymoon trip being guided by a gentle current through the 2000 ft. spectacular underground river. 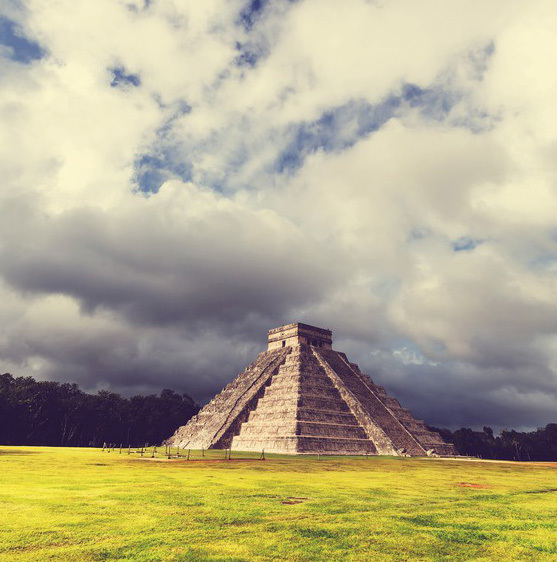 We will explore archaeological monuments while learning about exotic flora and fauna at the botanical gardens and visit the aviary, the butterfly pavilion and the fascinating aquarium to feed tropical fish as we snorkel in a crystal clear sparkling lagoon abundant with marine life. 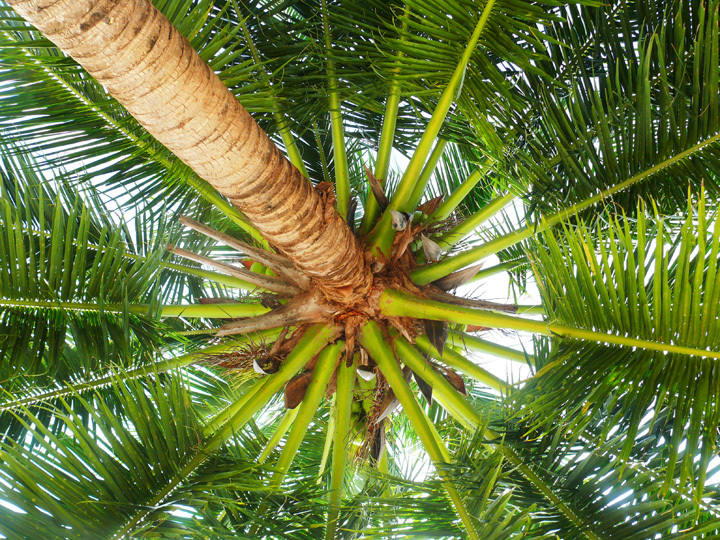 Next, we'll take a deserved siesta on a hammock under the shade of a palm tree. 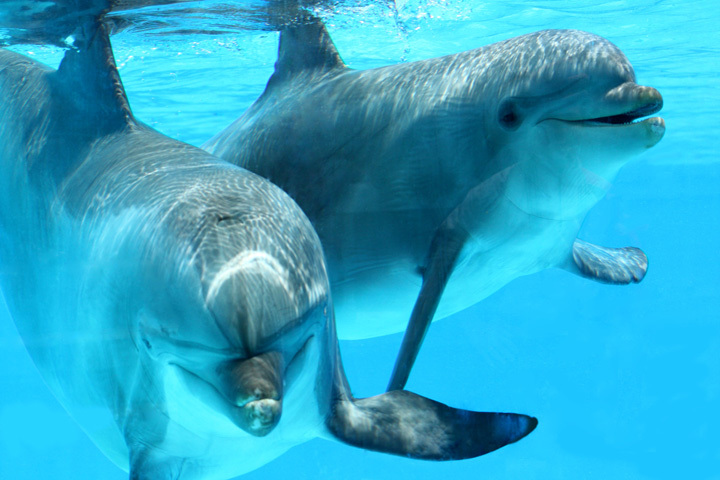 All of this is possible at Xcaret! 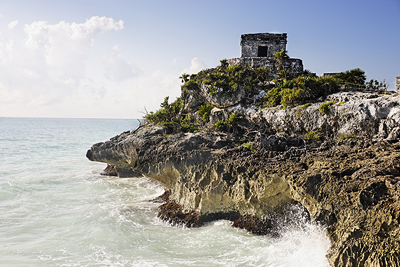 With this honeymoon tour, we will experience the uniqueness of Tulum, the only walled city built by the Mayans. 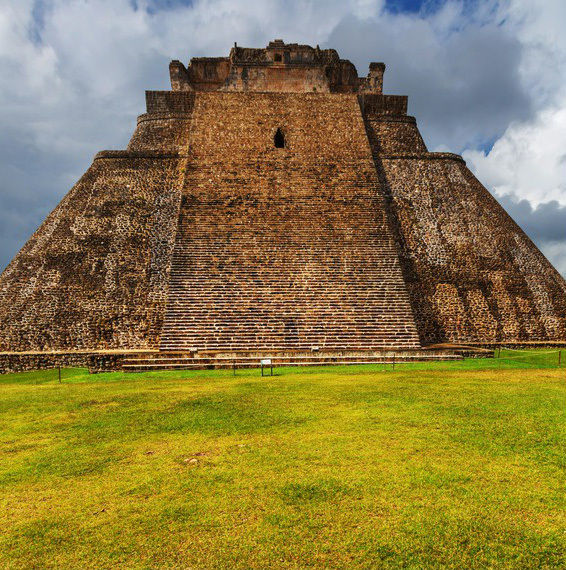 We will witness its temples perched on cliffs overlooking the turquoise Caribbean Sea. Next, we will cool off by snorkeling among schools of tropical fish in Xel-Ha, the world's largest natural aquarium. Fun, fun and more fun! We'll leave the driving to them and visit some of the greatest bars and dance clubs in town. The tour starts at Come’n’Eat restaurant then we'll go to the Hard Rock Cafe and the world's famous Sr. Frogs. Next, we will continue on to the most exciting night club in Cancun until 3:30 AM. It's our honeymoon and we can sleep in! Thanks to your wedding gift, we will sip on classical cocktails delivered to our room at sunset! 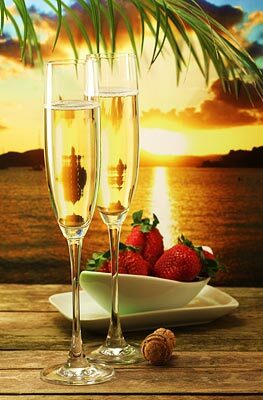 We will enjoy a glass of wine during our romantic dinner and indulge in a tropical concoction at the swim up bar. On our honeymoon, we can take delight in martinis at the piano bar and sip on chilled Champagne while enjoying the spectacular live stage shows with local dance and music and refresh ourselves with a cold drink at the disco! Being aware of both of the courses’ challenging nature, we’ll need a lot of practice before choosing the course to play a round on! 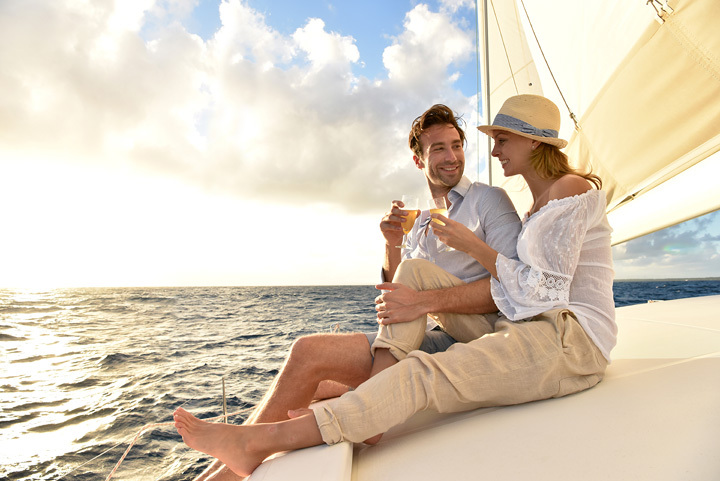 Together, we'll experience pure luxury on our honeymoon! With your lovely wedding gift, we can plan ahead and upgrade to a honeymoon suite with spectacular views of the pristine beach and the magnificent turquoise crystalline waters, leaving us with unforgettable honeymoon memories! 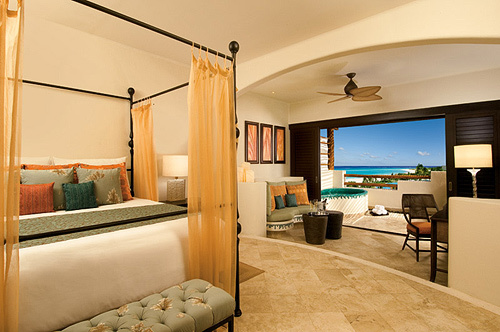 Our romantic suite is nestled amongst lush, tropical gardens framed by breathtaking views of the sparkling sea! We'll be pampered in style and comfort with a luxurious four poster canopy bed, a Jacuzzi for two, comfy and cozy bathrobes, satellite TV with all the movie channels, a fully stocked mini bar, 24-hour Unlimited-Luxury® room service and a private terrace for sunbathing and relaxing! We will really appreciate an international selection of fine cheeses complemented by dry fruits and nuts! Thanks to you, we will enjoy a sumptuous treat in the comfort of our honeymoon suite! Relaxing on the patio watching the sunset over the Mexican Riviera and enjoying a tray of tapas is the ultimate wedding gift! 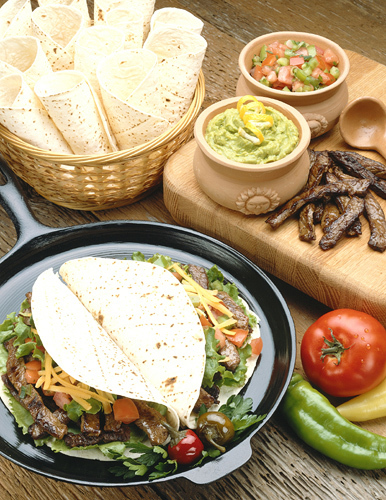 Thanks to you, we will experience the true flavors of authentic Mexico! Being together in paradise on our honeymoon while enjoying a romantic, intimate dinner served to us on the beach is a lovely wedding gift! We will toast to our new lives together with chilled tropical drinks beneath a blanket of stars. What more could we ever want? With your lovely wedding gift, we’ll dine in a romantic setting while tantalizing our taste buds with superb cuisine at one of Secrets many restaurants! Choosing from seven restaurants with an impressive array of gourmet dishes from around the world, we’ll delight our palate with delectable Italian cuisine at Portofino or enjoy international cuisine with a variety of specialty items and classics at World Cafe. 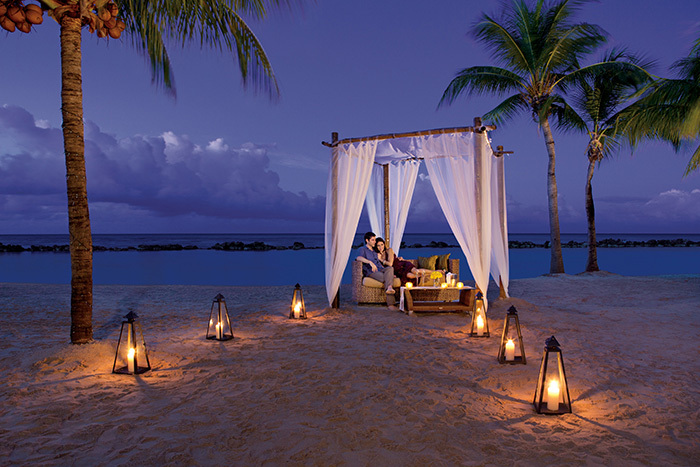 Oceana promises us a spectacular ocean view under a palapa and seafood specialties in a romantic seaside setting. We’ll indulge in sensational Mexican a la carte cuisine in a traditional authentic ambiance at El Patio, while Himitsu offers us a fusion of Pan-Asian and Oriental fare. The Seaside Grill boasts a stunning ocean view and serves up freshly a la carte specialties and Bordeaux offers us fantastic a la carte French cuisine. One thing stays the same; all restaurants serve delicious meals are enhanced by decadent desserts! 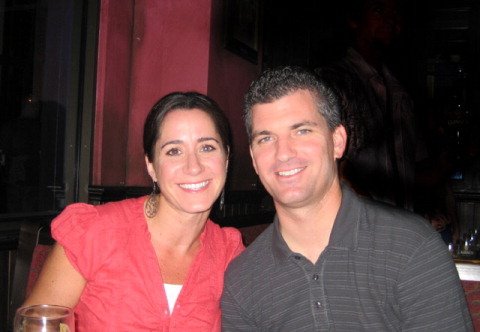 We’ll try our favorite cuisine with the Pan Asian Bamboo Box on our honeymoon! In the comfort of our suite, we will sample sushi delicacies and Oriental Canapes born out of artistry and ingenuity. We may even use our chopsticks! 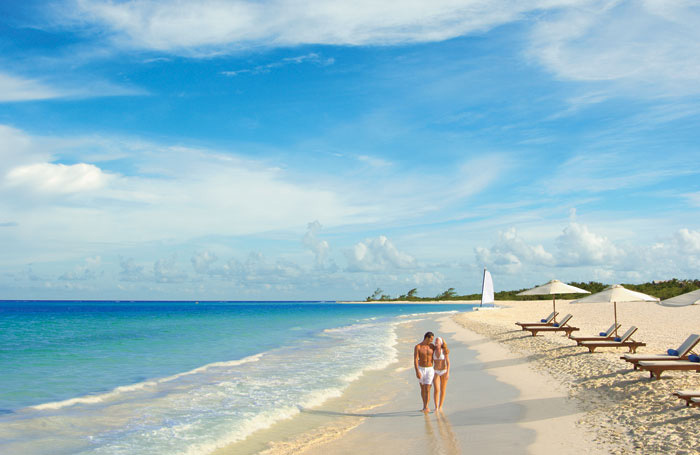 Together, we'll experience the secrets of love at Secrets Maroma Beach Riviera Cancun at our all inclusive honeymoon resort! 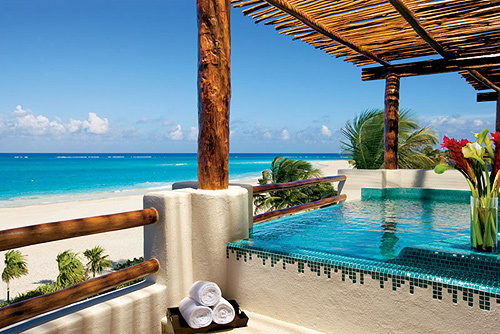 Secrets Maroma Beach Riviera Cancun is tucked away on the secluded Maroma Beach, voted the World's Best Beach by the Travel Channel four years in a row. We will enjoy all that this Unlimited-Luxury® haven provides such as a pure white sand beach, stunning ocean views stretching as far as the eye can see, elegant suites providing 24-hour room service, daily refreshed mini-bars and several suites with personal swim-out access to twelve smaller pools plus a shimmering infinity pool, gourmet dining options and chic lounges. We'll toast to our romantic honeymoon at Secrets and our new lives together! 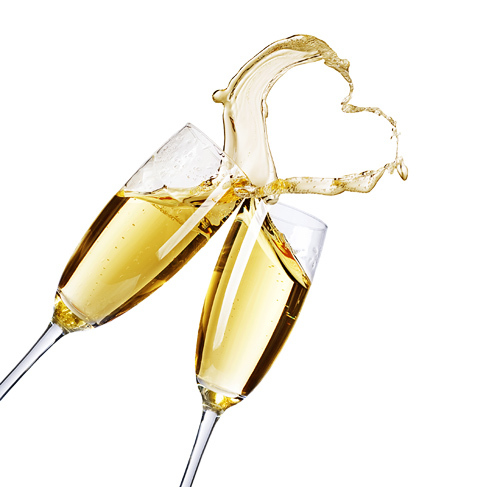 In the comfort of our honeymoon suite, we will uncork the effervescence of a chilled bottle of Dom Perignon Champagne. Cheers! We'll toast to our romantic honeymoon at Secrets Maroma Beach Riviera Cancun and our new lives together! 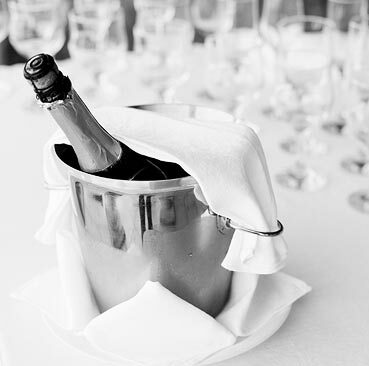 In the comfort of our beautifully decorated suite, we will uncork the effervescence of a chilled bottle of Moet Chandon Champagne. Cheers! We will indulge in a chilled bottle of Moet Chandon Champagne matched perfectly with wild berries and personalized notes from each other! 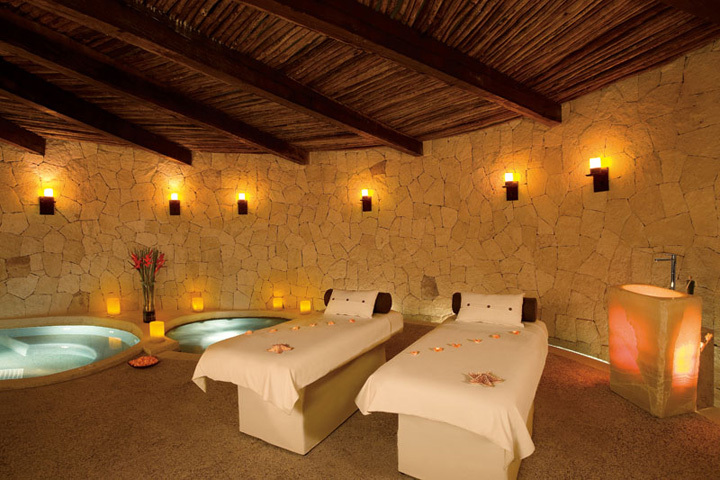 We will experience the special indulgence of a couples massage while lying side by side! Together, we will be pampered with exotic oils that hydrate the skin, rejuvenate the senses and leave the mind, body and spirit refreshed and revitalized. We want to reserve our spa treatments early for this ultimate honeymoon spa experience! 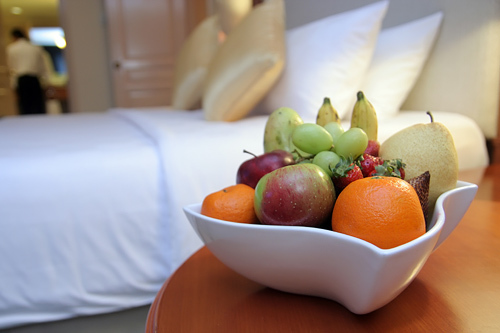 We'll savor a medley of traditional and rare regional fresh fruits from the comfort of our romantic honeymoon suite! While enjoying the spectacular views of the surrounding white sandy beach and the crystal clear, turquoise waters we will indulge in the sumptuous flavors of paradise! 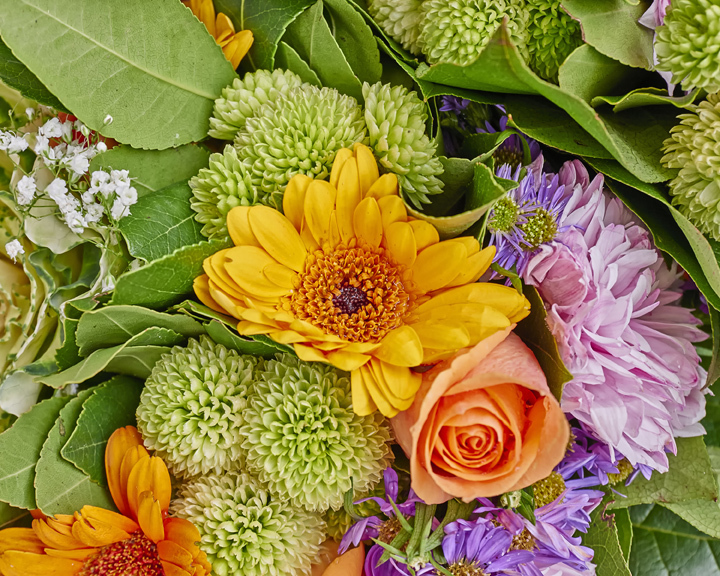 With your wedding gift we will wake up in our luxurious honeymoon suite to the sweet fragrance of beautiful, tropical flowers. How romantic!